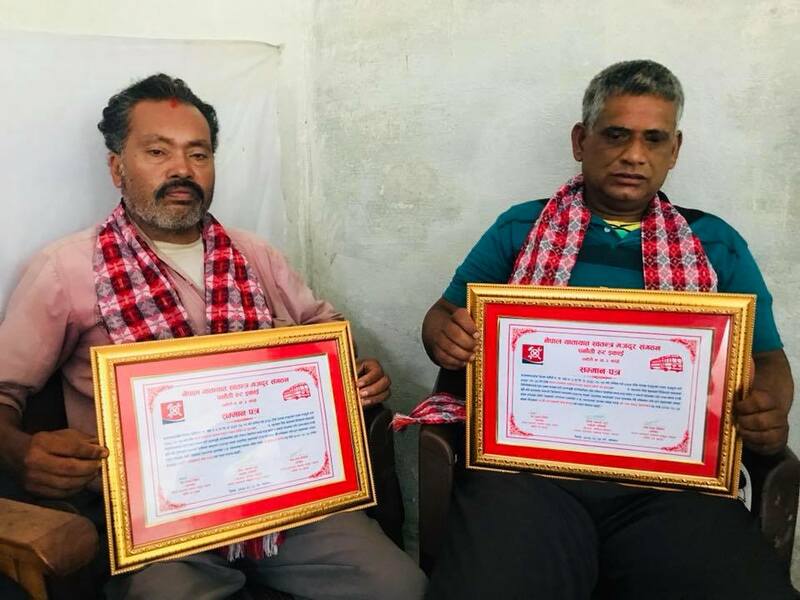 GEFONT affiliate Independent Transport Workers' Association of Nepal (ITWAN) Panauti route unit committee has honored its members during the 14th convention of Panauti route unit committee. Chief guest of the convention ITWAN President Cde. Bhim Jwala Rai handed over the cash 50,000 to cde. Ram Prasad Timsina and Cde. Budhilal Napait . The convention has elected 15 member unit committee for coming next two year.